Citizenship: Candidates who want to apply for ICAR AIEEA 2019 Application Form should be a citizen of India. Subjects: Physics, Chemistry and any one of the subjects from Biology / Home Science / Mathematics / Agriculture will the candidates be evaluated on in order to qualify the ICAR AIEEA 2019. ICAR AIEEA 2019 UG Minimum Qualification: Candidates should have passed 10+2 from the central or state board with a minimum of 50% aggregate. Candidates should have cleared their senior secondary schooling with any one of the subject Biology / Mathematics / Agriculture / Home Science as their main subject. Candidates who belong to ST/SC/PWD need to have a minimum of 40% aggregate to apply for ICAR AIEEA 2019 UG Exam. ICAR AIEEA 2019 PG Minimum Qualification: Candidates should clear his/her graduate degree with a minimum of 60% aggregate. Candidates who belong to ST/SC/PWD need to have a minimum of 50% aggregate to apply for ICAR AIEEA 2019 PG Exam. ICAR AIEEA 2019 Age Limit: Candidates who are applying for the UG programmes should not be less than 16 years as on 31st August 2019. Candidates applying for the PG programmes should not be less than 19 years as on 31 August 2019. Subject to accreditation by National Agricultural Education Accreditation Board. Nationality: Only Indian Nationals can apply. 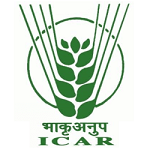 Age: Minimum age required for ICAR AIEEA-UG 2019 as on 31-08-2018 is 16. Minimum Qualifying percentage: The ICAR AIEEA 2019 Eligibility Criteria are, the candidates must have passed 10+2 Senior Secondary Examination of the Central Board of Secondary Education or any other equivalent examination with any one of the subjects: Biology/Mathematics/ Agriculture/ Home Science. The candidate must have secured not less than 50% marks in aggregate for General, OBC, and UPS categories. (40 % for SC/ST and Physically handicapped categories). Pursuing Qualifying Exam: Final year candidates are also eligible to apply for ICAR AIEEA UG 2019 but they have to produce 10+2 pass certificate with appropriate percentage marks during counselling. Core Subject: To be eligible for admission to the Universities specifically located in non-Hindi speaking areas, the candidate must have passed English as a core subject in 10+2 examination to eligible for ICAR AIEEA UG 2019 Exam. Backlog Candidates: The candidates who have any compartment/ supplementary in any of the subjects will not be eligible for ICAR AIEEA UG 2019. SAUs/CAUs: For admission in different courses at SAUs/CAUs (State Agricultural Universities/Central Agricultural Universities), candidates must have 4/5/6 years Bachelors’ degree in corresponding subjects. For admission in different courses at IARI, IVRI, NDRI & CIFE, candidates must have 4/5/6 years Bachelors’ degree in corresponding subjects. For admission in different courses at IARI, IVRI, NDRI & CIFE, candidates must have B.Sc. (10+ 2+3 yrs.system). For more details, refer to official notification. Age and Nationality: Indian nationals with age more than or equal to 19 years (all candidates born before 01.09.1999) are eligible to apply for the examination. There is no relaxation in age criteria. ICAR AIEEA-PG 2019 Qualifying courses Duration: 10+2+5 (B.V. Sc. & A.H.), 10+2+4, 10+6 years degree (B.Sc.Ag.) programmes(as applicable) must have been passed or been appeared by the candidate to appear in ICAR AIEEA-PG 2019 Exam. Candidates with 10+2+3 years Bachelor's degree programme have few choices of courses to apply in two ICAR-DUs - IARI Pusa and NDRI Karnal. Before the admission date in allotted university, Candidates should be B.V.Sc. & A.H. along with the complete internship. Eligibility Qualifications for SAU/CAU: For admission in different courses in PhD at SAUs/CAUs (State Agricultural Universities/Central Agricultural Universities) in chosen sub-subject under their major subject, Candidates must have master's degree in that particular sub-subject. For more information refer to the Official Notification. Age and Nationality: Indian nationals with age more than or equal to 20 years (all candidates born before 22.06.2018) are eligible to apply for the examination. There is no relaxation in age criteria. AICE-JRF/SRF(PGS) 2019 Qualifying courses Duration: Candidates must be qualified with 4/5(BVSc & AH)/6 (10+6, BSc. Ag.) years UG degree and 2 years’ PG degree along with thesis work completed for Ph.D. admission in AUs through AICE-JRF/SRF(PGS). Bachelor's degree of 3 years qualified candidates if already enrolled for Masters degree may seek admission in PhD in respective ICAR-DU according to prescribed eligibility criteria.